I explore the Barnes and Noble picture book section every weekend as research for my class and for my craft. This weekend, I found a lovely new picture book called This is not a picture book! that I think would be perfect for my second grade class next year (actually, in about a month). The main character is a duckling who is perplexed by a book that has only words, no pictures. At first, the duckling is not quite sure if he is up to the challenge of reading the words, but soon discovers that some of the words, words that he knows, have the ability to transport him and his friend Bug. The book is an homage to the power of reading. 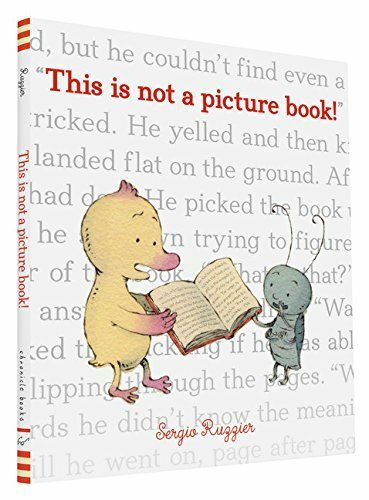 Duckling and Bug experience laughter, sorrow, adventure, and peace at the hands of the book with no pictures. The brightly colored illustrations are evocative of a child’s imagination and the creative, world-building capability of words. This is not a picture book! 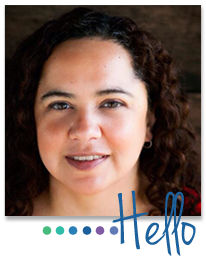 can help both parents and teachers transition children from picture books to chapter books. It creates an opportunity to open a discussion about the difference between picture books and chapter books and about harnessing the imagination to co-create a vision using the author’s words as the framework. And its sweet and funny to read. Labels: Barnes and Noble, Chronicle Books, picture books, Sergio Ruzzier, the power of reading, This is not a picture book!